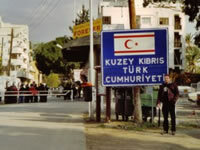 In 2003 the borders between North Cyprus and South Cyprus were opened and this has allowed for a free flow of people between the two countries. The borders are used on a daily basis by people from both sides of the island for business, shopping, and tourism. By opening the borders holiday makers can now experience the whole island of Cyprus and they get to look at two different cultures. When you reach the border you will need to get a form stamped. Once this has been completed you will then be allowed to pass into the south of Cyprus. You will also need your passport for identification purposes but it should be noted that your passport will not be stamped. There are some restrictions and these are usually to the amount of 150 Euro worth of goods. You cannot take anything more across to either side. If you rent a hire car in the south of Cyprus you are allowed to cross the border into North Cyprus with your car. If on the other hand you rent your car in the North of Cyprus you are not allowed to take it across the border. If the car is your own you are allowed to take it across the border. If you are planning a trip to southern Cyprus and you have a rental car from North Cyprus you must leave your car at the border. There are a number of rental agencies located at the various border crossing so this will allow you to rent a car once you cross the border. Any insurance that you may have purchased on either side is not valid once you cross the borders and therefore it will be necessary to purchase additional insurance if you plan on driving on the other side of the border. Car insurance for North Cyprus is 100 YTL / 40CYP per Year, this can also be broken down into 10 YTL for 3 days, 15 YTL for one month, 20 YTL for 3 months, and 30 YTL for 6 months. This border crossing is also known as Metehan and is considered to be the main crossing point. This checkpoint is extremely busy and is located in Nicosia. Here you will find pedestrians, cyclists, goods, and vehicles crossing the border. This border crossing is also known as the Azios Nikolaos, Strovilia, or Akyar crossing and is one of the two crossings points that are located in the British Eastern Sovereign Base Area. Here pedestrians, vehicles, and goods can cross the border. This border crossing location is only for pedestrians and cyclists. In some instances diplomatic vehicles use this crossing. This is the second of the two checkpoints located in the British Eastern Sovereign Base Area. It is also known as, Beyarmudu. Here pedestrians, vehicles, and goods can cross the border. This border crossing is also known as Astromeritis, Morpho, Morfu, Güzelyurt, Omorfo, or Morfou. This was the last checkpoint that was opened and here pedestrians, vehicles, and goods can cross the border. Although we have car hire delivery service for all the borders above, we prefer to deliver to Nicosia Borders. The reason why most of the checkpoints have more than one name is because they take into account the English, Greek, and Turkish names of the region and its neighbouring villages.